Carbacid (CO2) Limited is East Africa's leading producer of natural, food grade, compressed carbon dioxide. It is a wholly owned subsidiary of public limited company Carbacid Investments Limited, which is listed on Nairobi Stock Exchange. Carbacid delivery truck near Laisamis, Kenya, on route to Ethiopia. Available from 1 kg up to 30 kg cylinders. Bulk quantities delivered in specialised tankers from 1,000 kg up to 25,000 kg per delivery. Carbacid produces natural, certified food grade (99.99% purity) carbon dioxide for the beverage and brewery industries, where it is used to carbonate water, soft drinks and alcoholic beverages. The carbon dioxide is extracted from natural underground reservoirs and purified on site. Our CO2 is Halal certified. A dedicated fleet of transport vehicles and flexible delivery options accommodate each customer's production schedules and requirements. Available in 45kg, 30kg, 25kg, 22.5kg, 10kg and 1kg cylinders. 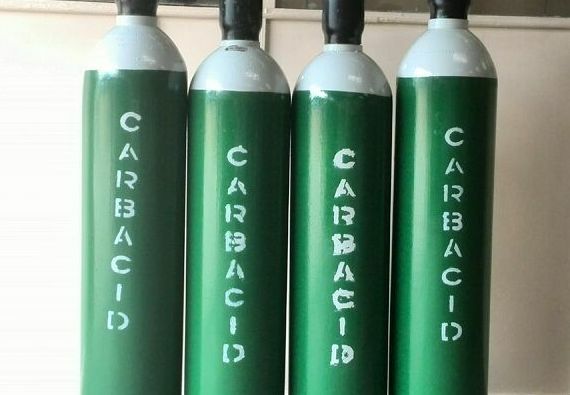 Carbacid supplies compressed carbon dioxide for industrial uses including MIG welding and fire extinguisher applications. 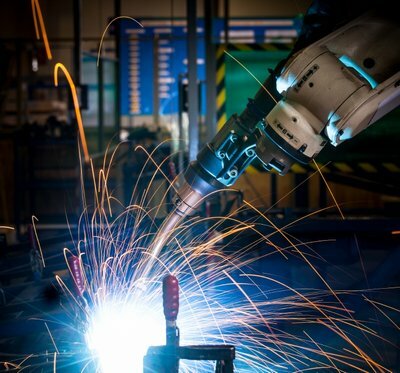 MIG (GMAW) welding with CO2 shielding gas and a solid wire electrode produces a clean, slag-free weld without the need to continually stop welding to replace the electrode, as in Stick welding. CO2 is the most common of the reactive gases used in MIG welding and the only one that can be used in its pure form without the addition of an inert gas. CO2 provides better cost-benefit value of the common shielding gases, making an attractive choice when material costs are the main priority. Pure CO2 provides very deep weld penetration, which is useful for welding thick material. CO2 is used effectively in MIG welding applications. 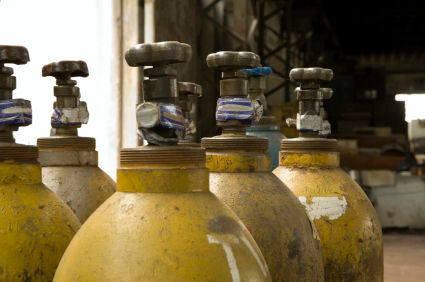 Medical CO2 is supplied in specially colour-coded 30kg cylinders. Medical grade CO2 follows a strict production, storage and filling protocol, and is 99.99% pure. For Cryotherapy to treat a variety of benign and malignant tissue damage, medically called lesions. Dry ice is available in 3mm and 16mm pellets. The quantity of dry ice that you will need depends on factors such as the distance to be travelled, time in transit, climatic conditions and the packaging materials used. Carbacid produces dry ice using a closed line system, ensuring it retains food grade (99.99%) purity. It is packaged in strong heat-sealed polythene bags using state-of-the-art equipment to ensure the highest standards of hygiene. 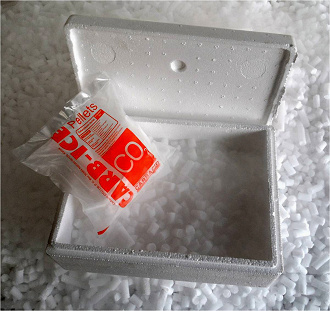 Insulated styrofoam boxes are also available for dry ice storage. All above services are carried out under the supervision of a DOHS approved licensed inspector. 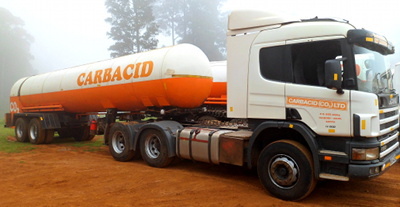 Carbacid's distribution network extends across the whole of East Africa, serving customers in Kenya, Uganda, Tanzania, Rwanda, Burundi, Ethiopia, Uganda, Zambia, Southern Sudan and Somaliland. The company is FSSC 22000:2010 and all its products receive annual KEBS certification.